US airstrikes in Syria are ineffective as long as Washington fails to coordinate its actions with those battling terrorists on the ground, Syrian FM Walid Muallem told RT, adding that Damascus fully supports the idea of a coalition genuinely committed to the cause. The international community could have prevented much of the bloodshed in Syria by moving beyond empty declarations and sincerely respecting the obligations to fight terrorism, Walid Muallem told RT Arabic in an exclusive interview. Russia has long insisted on the creation of an international anti-terrorist coalition that would coordinate its efforts with the Syrian army battling the radical Islamist forces on the ground. Muallem says Damascus fully supports such an initiative. “We declare that we are ready to coordinate our actions with any country in the world, which sincerely wished to fight terrorism in practice,” Muallem stated, adding that scrapping any support to terrorist groups would be essential proof of sincerity. Muallem also commented on the information campaigns presenting the ongoing Russian-Syrian cooperation as some kind of growing threat or something illegal. US and Russia hold Syria talks as Moscow hints at combat role against ISIS. US secretary of state John Kerry said on Saturday that the US was prepared to negotiate the timing and conditions for Syrian president Bashar al-Assad to step down from power. Speaking in London, Mr Kerry repeated the US position that Mr Assad needed to step down as part of any effort to bring the country’s civil war to an end, but he indicated greater US flexibility about the way that the Syrian leader might leave office. Mr Kerry also called on Iran and Russia, which has significantly stepped up its military presence in Syria in recent weeks, to push Mr Assad to the negotiating table. His comments came after Ashton Carter, US secretary of defence, held direct talks with his Russian counterpart Sergei Shoigu on Friday to discuss the war in Syria, amid mounting concern in the west over Russia’s growing military support for the Assad regime. The talks started as Moscow indicated it could send combat troops to Syria to support the Syrian military. The flurry of communications and diplomatic messaging follows a sharp build-up of Russian military presence in Syria in recent weeks that has put the Obama administration on the back foot at a time when its own strategy in Syria is coming under renewed criticism. However, amid the uncertainty over Russia’s plans in Syria there is also the possibility that Moscow’s increased intervention could also open space for an international effort at finding a political settlement to the four year-old civil war. The Friday phone call with Mr Shoigu was the first time Mr Carter had spoken to the Russian defence minister since he assumed office in March and ended a long period of almost no communication between the two militaries as the result of the conflict in Ukraine. The Pentagon said the two ministers talked about ways to “deconflict” their respective operations in Syria, including the risk that planes from both countries could be flying in close proximity, and that both nations were focused on defeating the Islamic State of Iraq and the Levant, the jihadi group known as Isis. The Kremlin said on Friday that Russia was prepared to consider supporting the Assad regime with troops in combat if the Syrian government asked for that, in the clearest indication so far that it is prepared to step up its military involvement in the Syrian conflict. “If such a request comes, then it will, in the framework of our bilateral contacts and our bilateral dialogue, naturally be discussed and looked at,” said Dmitry Peskov, spokesman of President Vladimir Putin. He was commenting on remarks by Syria’s foreign minister, Walid Muallem, that Damascus would request Russian troops to fight alongside the Syrian army if the need arose. In an interview with Syrian television on Thursday, Mr Muallem said there were no Russian combat troops in Syria at the moment but confirmed that Russia had “escalated the pace of supplies to our army with weapons and ammunition”. According to US military officials, however, Russia has significantly ramped up its presence of both support and combat troops in Syria in the past few days. The Pentagon estimates Russia to have troop numbers in the “high hundreds” or “low thousands” in the country. Analysts say they appear to be deployed primarily for defensive purposes so far. Russia has long co-operated militarily with the Assad regime, supplying arms and experts who help with installation and training. It also has a radio-electronic listening post to gather intelligence on the Middle East and eastern Mediterranean. The Kremlin insists that Russian soldiers now in Syria continue to be advisers linked to arms supplies. But satellite pictures, Syrian battle footage and Russian social media posts as well as US intelligence suggest that Moscow has been drastically stepping up those supplies since late August and could be preparing for more. In the latest sign of increased Russian involvement, a US official said, Russian fighter jets had been observed in recent days at the airfield in western Syria near Latakia where the Pentagon believes Moscow is developing a forward-operating air base. Dmitri Trenin, head of the Moscow Carnegie Center, said that while Russia had no intention of deploying ground combat forces to Syria, it might consider sending pilots and flying air attacks. The Russian government presents its increased military involvement as part of an effort to build a broad coalition against Isis. Despite its denials of combat forces on the ground, the Kremlin has been much less secretive about Syria than its involvement in the Ukraine war. But as the US launches air attacks as part of its own coalition against Isis, military experts fear a separate Russian involvement could lead to dangerous incidents, especially as western governments doubt whether Moscow, in a potential air campaign, might target opposition forces other than Isis which are also fighting Mr Assad’s army. On Friday, two Russian news outlets reported that contract soldiers from the eastern military district were being sent to Syria on secret missions, and some were refusing to go after finding out about their destination. Mr Peskov said the Kremlin was not aware of this. The military district command denied that some of its servicemen were being sent to Syria. 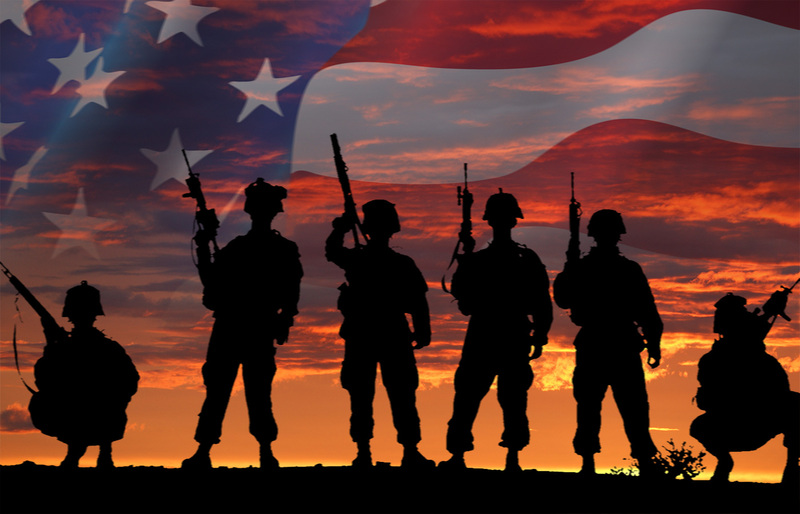 U.S. Veterans I Salute you! 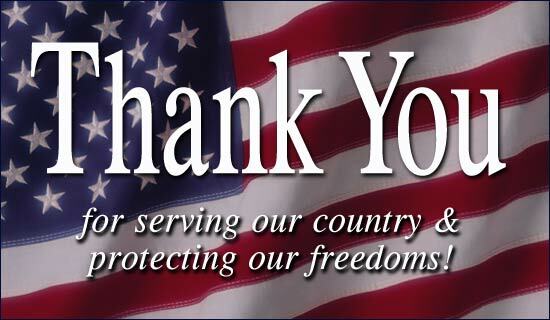 Thank you for the sacrifices you have given to defend our Country, Citizens, and Constitution. Thank you for the services you still are willing to provide. God only know what many of you have gone through, may he ease any suffering you may endure! For those who have lost loved one’s may their death be a reminder to us all that we can never forfeit the freedoms they died for! If you feel thankless for the service you provided for our Country, never forget there are those of us who will always remember the men and women who have served, and who are fighting for us now. When you see a U.S. Flag being burnt know that those who will burn the flag are our enemies. 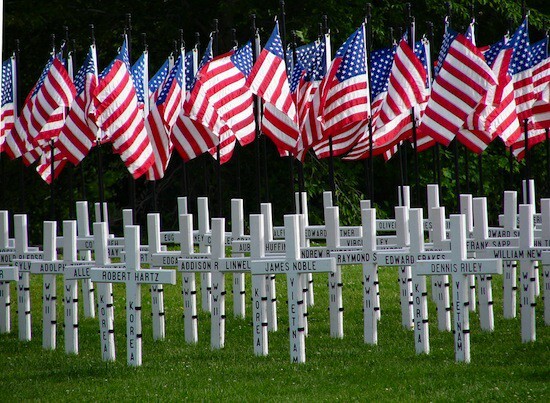 Never forget the flag is not just flown, for some it is a Sacred Shroud that laid upon the casket of a loved one. To see it desecrated is the same as desecrating a graveyard or a corpse. 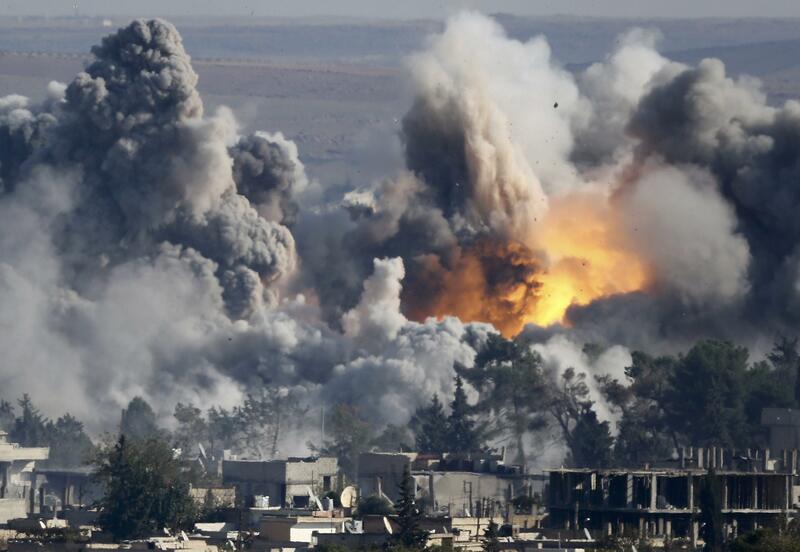 Airstrikes Continue Against ISIL in Iraq, Syria: Warning Graphic Image. SOUTHWEST ASIA, September 16, 2015 — U.S. and coalition military forces have continued to attack Islamic State of Iraq and the Levant terrorists in Syria and Iraq, Combined Joint Task Force Operation Inherent Resolve officials reported today. — Near Mar’a, an airstrike struck an ISIL tactical unit. — Near Abu Kamal, two airstrikes struck two ISIL oil field wellheads. — Near Baghdadi, an airstrike destroyed three ISIL rocket rails. — Near Beiji, two airstrikes struck one large and one small ISIL tactical units, and destroyed three ISIL vehicles. — Near Fallujah, an airstrike struck an ISIL tactical unit and destroyed three ISIL rockets. — Near Hit, an airstrike struck an ISIL tactical unit. — Near Kirkuk, an airstrike struck an ISIL tactical unit and destroyed an ISIL fighting position. 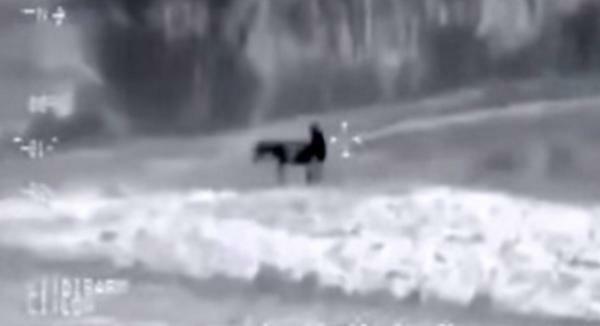 — Near Mosul, an airstrike destroyed ISIL fighter rear mounting a donkey. Donkey survived but he is extremely distressed. Pentagon shared photo below. — Near Mosul, two airstrikes struck an ISIL tactical unit and destroyed an ISIL heavy machine gun and 12 ISIL fighting positions. — Near Sinjar, two airstrikes struck two ISIL tactical units and destroyed an ISIL mortar tube and three ISIL fighting positions. — Near Sultan Abdallah, an airstrike struck an ISIL tactical unit and destroyed an ISIL fighting position. Analysts Detail Claims That Reports on ISIS Were Distorted – You mean a dishonest Politician? NO! WASHINGTON — A group of intelligence analysts have provided investigators with documents they say show that senior military officers manipulated the conclusions of reports on the war against the Islamic State, according to several government officials, as lawmakers from both parties voiced growing anger that they may have received a distorted picture about the military campaign’s progress. The Pentagon’s inspector general, who is examining the claims, is focusing on senior intelligence officials who supervise dozens of military and civilian analysts at United States Central Command, or Centcom, which oversees American military operations against the Islamic State in Iraq and Syria. Bridget Serchak, a spokeswoman for the Pentagon’s inspector general, confirmed that the investigation is focused on Centcom’s intelligence command. “The investigation will address whether there was any falsification, distortion, delay, suppression or improper modification of intelligence information,” she said in an emailed statement on Tuesday. The New York Times reported last month that investigation had begun, but the scope of the inquiry and the specific focus of the allegations were unclear. The officials now say that the analysts at the center of the investigation allege that their superiors within Centcom’s intelligence operation changed conclusions about a number of topics, including the readiness of Iraqi security forces and the success of the bombing campaign in Iraq and Syria. The revisions presented a more positive picture to the White House, Congress and other intelligence agencies, the officials said. “The senior intelligence officers are flipping everything on its head,” said one government intelligence analyst, who like others spoke on condition of anonymity because he was not authorized to discuss the matter publicly. The analyst said that the complaints involve the highest-ranking officials in Centcom’s intelligence unit, run by Army Maj. Gen. Steven R. Grove. 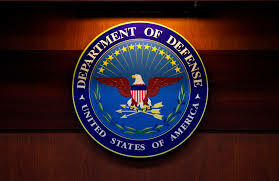 The Pentagon’s inspector general would not examine disputes over routine differences among analysts, and so it is highly unusual that an investigation would be opened about the intelligence conclusions in an ongoing war. The allegations raise the prospect that military officials were presenting skewed assessments to the White House and lawmakers that were in sharp contrast with the conclusions of other intelligence agencies. The issue is expected to come up Wednesday when Gen. Lloyd J. Austin III, commander of Central Command, is expected to testify before a Senate panel about the military campaign against the Islamic State. Last week, Mr. Schiff said that the intelligence presentations that lawmakers get from spy agencies are in general far better than they were in the period leading up to the start of the Iraq war in 2003, when dissenting views about Iraq’s weapons programs were often buried in intelligence reports or ignored altogether. Today, he said, dissenting views are given much more prominence in reports. Disagreements over analytical conclusions are both commonplace and encouraged. Just as in the peer review process in academia, the government wants analysts to consider opposing viewpoints and revise reports as necessary. Analysts who disagree are encouraged to publish rival papers, but changing someone else’s conclusion is forbidden. The matter is complicated because the analysts who made the complaint work for the Defense Intelligence Agency — it was created to be immune from the pressures and biases of the officers leading the war — but are supervised by officers at Centcom. At least one analyst complained to the inspector general in July. Last week, The Daily Beast reported that those complaints were supported by a cadre of more than 50 intelligence agents. Col. Patrick S. Ryder, a Centcom spokesman, on Tuesday reiterated several points he had made when news of the investigation broke last month. The inspector general has a responsibility to investigate all allegations, he said, and he cannot comment on an ongoing investigation. On Friday, Pentagon investigators held a conference call with members of Congress as a growing, bipartisan chorus of lawmakers expressed concerns about the dispute. One official who listened to the call said it was intended to assure lawmakers that investigators were taking the allegations seriously. That same afternoon, both the Republican chairman of the House oversight committee, Representative Jason Chaffetz of Utah, and one of his colleagues sent letters to Defense Secretary Ashton B. Carter and John T. Rymer, the Pentagon inspector general, asking that Pentagon officials brief his committee about the scope of the inquiry and its findings. “We are deeply concerned about these allegations and want to ensure that intelligence provided to key decision makers properly reflect the expert analysis produced by our Intelligence Community (IC) professionals,” the letter said. Last summer President Obama authorized a bombing campaign against the Islamic State, a Sunni terrorist group that spun off from Al Qaeda and now controls large swaths of land in Iraq and Syria. Roughly 3,400 American troops are in Iraq advising and training Iraqi forces. The White House has been reluctant, though, to recommit large numbers of ground troops to Iraq after announcing an end to the Iraq war in 2009. The bombing campaign over the past year has had some success in allowing Iraqi forces to reclaim parts of the country formerly under the Islamic State’s control, but important cities like Mosul and Ramadi remain under the sway of the group, also known as ISIS or ISIL There has been little progress in loosening the group’s hold over large parts of Syria, where the United States has conducted limited airstrikes. Critics have argued that the bombing alone cannot defeat the Islamic State and have called on the Obama administration to send in more troops. It is not clear, however, if Defense Intelligence Agency analysts have concluded that more American troops would make an appreciable difference. Drone strike. Oops Missed! More dead Muslims Daily. And is Russia on Board? Assad Speaks Truth to Power: Stop Supporting Terrorists! The Pentagon has now tracked a total of 15 Russian Antonov-124 Condor flights into Syria, reflecting a steady stream of military cargo into Syria. According to the latest intelligence, this also includes the arrival of two more Russian cargo ships, containing the tanks. Up to this point, the official said, the Russian cargo and weapons that have been delivered to Syria could be viewed as defensive in nature. The arrival of tanks cannot be viewed this way. US threatens to expand the international isolation of the Russian Federation for the support of Syrian President Bashar al-Assad. According to White House spokesman Josh Earnest, if Russia does not join the US-led international coalition that conducts a counter-terrorist operation in Iraq and Syria and will support Assad instead, the move with isolate Moscow from the international community even more. Josh Earnest also accused the Syrian leader of the humanitarian tragedy, having obviously disregarded the humanitarian catastrophes that the United States has been causing in many countries of the world. The Kremlin believes that interfering into internal affairs of Syria is unacceptable. As President Vladimir Putin believes, it is up to Syrians to determine their own future. Putin’s spokesman Dmitry Peskov said there is still no clear understanding of what could be an alternative to the incumbent legitimate government of Syria in ensuring security in the country. What is the situation year after the beginning of the airstrikes against IS group? Syria, Damascus, Syrian Arab Army Recapture تل ” أبو زيد” “Abu Zeid” Hill. 23 members of different terrorist groups were killed by the Syrian army and popular forces in the Central province of Hama on Monday. Terrorist organizations acknowledged on their social media pages the death of 23 of their members in the province. Units of the army and the armed forces on Monday continued to tighten the noose around Takfiri terrorist organizations across the country through launching wide-scale military operations against them in different areas, destroying their dens and weapons and killing scores of their members. The army air force destroyed hideouts and vehicles of the terrorist organizations in the surroundings of Douma city in the Eastern Ghota, Damascus countryside, a military source said on Monday. The army air force also staged a number of airstrikes against concentration centers and positions of terrorists from the so-called ‘Jaish al-Islam’ in the surroundings of Douma City in the Eastern Ghota, Damascus Countryside. A number of terrorists were killed in the strikes and others were injured and their dens were destroyed, in addition to destroying a number of their machinegun-equipped vehicles. Meanwhile, the so-called ‘Jaish al-Islam’ admitted on its pages on the social networking websites that a number of its members were killed including terrorist ‘Zuhair al-Salahi’. Also in the past 24 hours, units of the army, in cooperation with the Lebanese Resistance, continued to carry out military operations against the remaining dens of the Takfiri terrorist organizations in al-Zabadani city, 45 km to the West of Damascus. A military source said that a unit of the army, in cooperation with the Lebanese Resistance, on Monday morning destroyed a 500 meter-long tunnel belonging to the terrorist organizations that extends between Madaya town and Madaya plain. The source added that the tunnel had been equipped with lights and ventilation, and it is linked to a building near the highway to the West of Madaya town. The tunnel was used by terrorists as a supply route for transporting arms, ammunition and food materials. Also in Lattakia, the army units, in cooperation with popular defense groups, targeted terrorist organizations’ den in al-Rawda village in the Northern countryside of Lattakia province, killing at least 7 terrorists, including five Chechen terrorists. According to sources, the army operations resulted in destroying two cars, one of them equipped with a machinegun and the other loaded with ammunition. Terrorist organizations admitted on their social media pages of suffering losses of a number of their members. Also on Monday, the army units clashed with the ISIL terrorists while they were attempting to infiltrate into the vicinity of a number of military checkpoints in al-Maqaleh area, 10 km to the west of Palmyra city in Homs province. The aforementioned clashes resulted in killing and injuring 15 terrorists and destroying their vehicles. The army’s operation made scores of terrorists to escape towards the depth of the Syrian Badiya (desert). Army units targeted with concentrated strikes the dens of ‘Jabhat al-Nusra’ in Jabal al-Kin and the area surrounding Jisr Kafrnan in al-Rastan to the North of Homs city. A number of terrorists were killed and their weapons and ammunition destroyed in the strikes. The Army also killed a number of ‘Jabhat al-Nusra’ terrorists, injured many others and destroyed many of their hideouts in Beit Hajo in Talbisa in the Northern countryside of Homs. Also in the past 24 hours, units of the army and armed forces carried precise operations against hotbeds of Jabhat al-Nusra and other Takfiri organizations in the neighborhoods of Daraa al-Balad and Daraa al-Mahata neighborhoods in the southern city of Daraa. A unit of the army killed scores of the terrorist organizations’ members and destroyed three of their cars in strikes conducted on Monday morning against their positions to the north of Bilal al- Habashi Mosque, in the surroundings of the Technical Institute, and to the South of the MTN building in Daraa al-Balad neighborhood. A number of terrorists were killed and others were injured in an operation carried out by an army unit against dens and hotbeds of Takfiri organizations in the surroundings of Abdul-Aziz Abazaid Mosque, Zenobia School, al-Commandos building, al-Rawda, and the Electricity Company in Dara al-Mahata neighborhood. Also in Aleppo, the army units targeted gatherings and hideouts of the ISIL terrorists in the vicinity of the Air Force Academy, Jeb Al-Safa village in Kueiress, killing a number of the terrorists and destroying their vehicles. A number of Jabhat al-Nusra and the so called ‘al-Jabha al-Shamia’ terrorists were killed and their bulldozer was destroyed in intensive army operations against their gatherings and movements’ axis in the surrounding of Bashkoi village, North of Aleppo city. The army, also, targeted terrorists’ gatherings and hotbeds in the villages of Jaboul, Qaseir al-Ward, Ein Sabel and Reman in the Southeastern countryside of Aleppo province, killing a number of terrorists and destroying their vehicles, some of them equipped with machineguns. Army units destroyed ammunition, arms depot and a number of vehicles for Jabhat al-Nusra and other terrorist organizations in al-Mansoura, Daret Ezza, Kafr Hamra city, West of Aleppo city. In Aleppo city, many terrorists were killed and others were injured in the army operations in the neighborhoods of al-Rashedeen4, al-Lairamoun, Bani Zaid, Karm Meyaser, al-Sukkari and Qadi Askar. The Army continued military operations in Tal al-Na’am, the area surrounding it, Tal al-Sabiha and Tal al-Faori to the East of Aleppo city, killing many terrorists, injuring many others and destroying their vehicles, some of them equipped with heavy machineguns. Army units destroyed terrorists’ dens and eliminated a number of them in Tal Riman, Joad farm, Feedstuff institution, Tridm, al-Qarotia and al-Nasiria in Aleppo countryside. Also on Monday, the army’s artillery destroyed gatherings of ISIL terrorist organization in al- Meilbiyeh village and the cotton collecting center in the village, 15 km South of Hasaka, killing numbers of terrorists and injuring others. A number of ISIL terrorists were killed and injured and their machinegun-equipped vehicle was destroyed in the artillery army operation on their gatherings in the villages of Soda and Abed , 15 km South West of Hasaka city. Also in Hama, the army air force raided terrorists’ hideouts in al-Ziara, Tal Wassit, al-Hamidia, al-Qahira, al-Dukmak and al-Hawija in the Northwest countryside of the city, inflicting heavy losses on terrorists. The army’s airstrikes also targeted terrorists’ gatherings in al-Latamina town and in Skik and Atshan villages, killing many terrorists, injuring many others and destroying their vehicles. Terrorist organizations acknowledged on their pages on social media sites the death of 23 terrorists in the province. Also in the past 24 hours, the army’s air force launched airstrikes against terrorists’ gatherings in Abu al-Dohour and al-Boidr in Saraqeb area in the Southeast countryside of Idlib, killing many terrorists and destroying their vehicles. The army’s airstrikes also destroyed mortar launcher and artillery in Shalakh village and Taftanaz to the Northeast of Idlib. The airstrikes also caused the death of many terrorists, injuring many others and destroying their ammunition and weapons in Mhambal and Farika in Jisr al-Shughour in the southwest countryside of Idlib. The raids on terrorists’ gatherings in Ma’arat al-Nu’man to the south of Idlib city left many terrorists killed and their weapons and ammo destroyed. AND EVEN MORE DEAD MUSLIMS!!! The ISIL Takfiri terrorist group executed at least 30 of its own members due to their plan to carry out an operation against the group’s leadership in the rebel-held city of Mosul, a local official said. ”The ISIL executed 30 members of its own by firing squad in the old prison in Mosul,” said media official of the Kurdistan Democratic Party (KDP) in Mosul Saeed Mamouzini. “The executed ISIL members were accused of planning operations against the group,” He further added. “The ISIL has executed more than 120 of its armed men on charges of planning a coup against ISIL leader, Abu Bakr al-Baghdadi in the last few days,” Manouzini went on to say. Gruesome violence has plagued the Northern and Western parts of Iraq ever since ISIL Takfiri terrorists launched an offensive in June 2014, and took control of portions of Iraqi territory. The militants have been committing vicious crimes against all ethnic and religious communities in Iraq, including Shiites, Sunnis, Kurds, Christians and others. Units of army soldiers joined by volunteer fighters are seeking to win back militant-held regions in joint operations. The replacement of al-Nusra Front-affiliated terrorist group, Ahrar al-Sham’s top commander is a plot hatched by Turkey to pave the ground for creating a buffer zone in Syria, an informed source said. Mohaned al-Masri Aka Abu Yehia al-Hamawi was appointed as Ahrar al-Sham’s new leader last week to replace Hashim al-Sheikh Aka Abu Jaber. “Abu Yahia has close relations with Turkey’s intelligence agency due to Ahrar Al-Sham Mufti Abol Abbas Shami’s ties with the agency since the 1990s,” an informed source told the Lebanese al-Safir newspaper on Tuesday. “Turkey needed a trustworthy partner to create a buffer zone in Northern Syria and Abu Jaber was not able to settle the internal differences of Ahrar al-Sham and had a negative stance on the creation of a buffer zone,” he added. According to the report, before Abu Jaber, two other religious leaders of Ahrar al-Sham, including Abu Shuaib al-Misri and Abu Mohammad al-Sadiq, had left the group for their opposition to Turkey’s buffer zone plan. Ahrar Al-Sham is affiliated to the Al-Nusra Front, the al-Qaeda’s official branch in Syria. The 2 groups are members of Jaish al-Fath coalition, which is backed by Turkey, Qatar and Saudi Arabia, and aims to seize Idlib. Certain media reports had claimed in August that the Turkish forces were ready for military intervention in Syria under the pretext of creating a buffer zone to protect the Turkish borders against the threat of the terrorist groups. In October, Syria’s Foreign Ministry rejected foreign powers’ talk about imposing a buffer zone on Syrian soil. “The Turkish attempts to establish a buffer zone on the Syrian soil is a flagrant violation to the charters of the UN and international law,” the ministry said in a statement. It added that “Syria totally rejects the establishment of a buffer zone on any part of its terrain under any pretext and also rejects the foreign military intervention on its soil”. The ministry stressed that the Syrian government would take all necessary measures to protect its national sovereignty and the unity of its territories after consulting with other countries. The statement came as Turkey had been floating the idea of setting up a buffer zone on the Syrian side of the borders under many pretexts, mainly to solve the issue of the Syrian refugees on Turkish soil. Thats a lot of Dead Muslims. Dropping bombs on Syria to protect Iraq will not be enough in the long term to help the troubled region, Labor says. The opposition believes international efforts need to focus on reaching a political solution to ultimately remove the Assad regime in Syria, as well as stepping up humanitarian help in the short term. The millions of people displaced from Syria need protecting from the Assad government as well as terrorist organisations like Islamic State, Labor’s foreign affairs spokeswoman Tanya Plibersek said. ‘There’s Iran, Russia, Saudi Arabia, Turkey, the US and its allies that all need to come to the table as part of developing a solution for Syria,’ she told ABC TV on Sunday. She also called for Middle Eastern countries, particularly Arab League nations, to do more to help people fleeing Syria. The federal government says years-long talks about the political situation in Syria are continuing but the immediate focus has to be on stopping terrorist organisation Islamic State. A report in The Australian newspaper last week said Prime Minister Tony Abbott and Foreign Minister Julie Bishop had developed a strategy to remove Assad, which they will discuss with their US counterparts during a UN summit in three weeks. ‘There is still a significant question mark over the Assad regime and what happens there,’ Immigration Minister Peter Dutton told Sky News on Sunday. While he respected the views of people who attended rallies on Saturday opposing the air strikes on Syria, he vehemently disagreed with them. He said the reach of IS was growing and advice the government’s national security committee had was that people involved in it were all significant threats to Australia.